Banish the booze and say so long to spirits; alcohol is off the menu and we couldn't be happier about it. Why? Because these bars and restaurants have us feeling tipsy with sheer pleasure at their ranges of mouth-watering mocktails. Whether for lifestyle reasons or pure preference, liquor-less London is accommodating, guilt-free and tastier than ever. 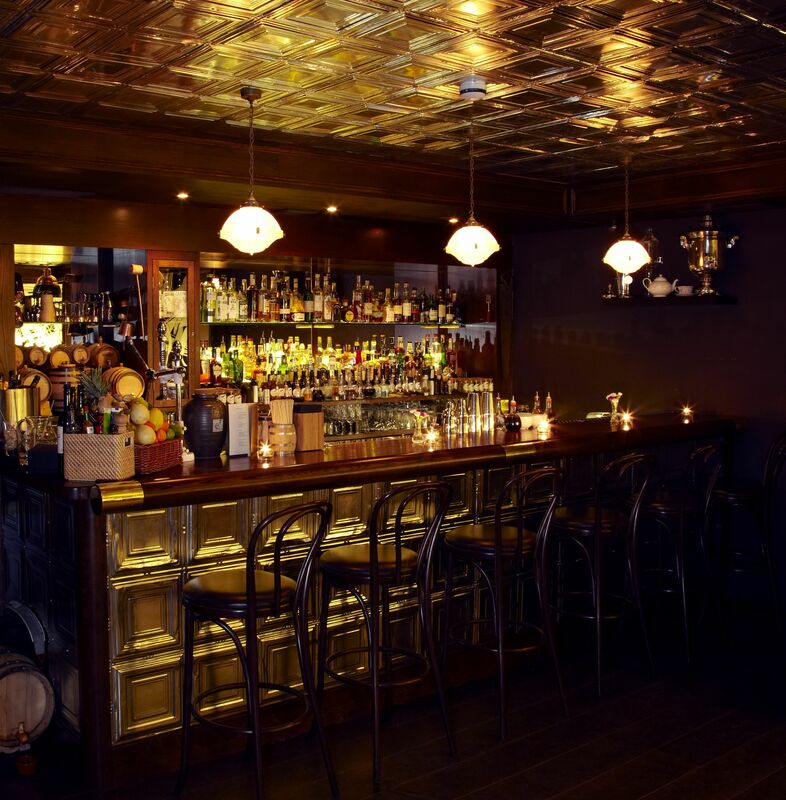 Here's where to find liquid happiness without the hangover. London's original speakeasy, Nightjar, is a dimly lit basement drinking den behind an unmarked door in Shoreditch. It would be hard to find, were it not for the queues that snake out the door each and every night. Happily, reservations are possible. Frequently ranked in 'World's Best Bars' lists, there's no reason for alcohol abstainers to go without. There are a few virgin options on the menu but, pah, who needs a menu? The bartenders really know their stuff here. Let them flex their creative muscles by telling them your choice of flavours, depth and dryness so they can whip you up a mocktail precisely to your liking. "Expect nothing less than amazingly spiced food using off the wall ingredients and combinations you'd never thought of from Ottolenghi offshoot Nopi" says Londonist's Joanne Gould. The same can certainly be said of their mocktail list. 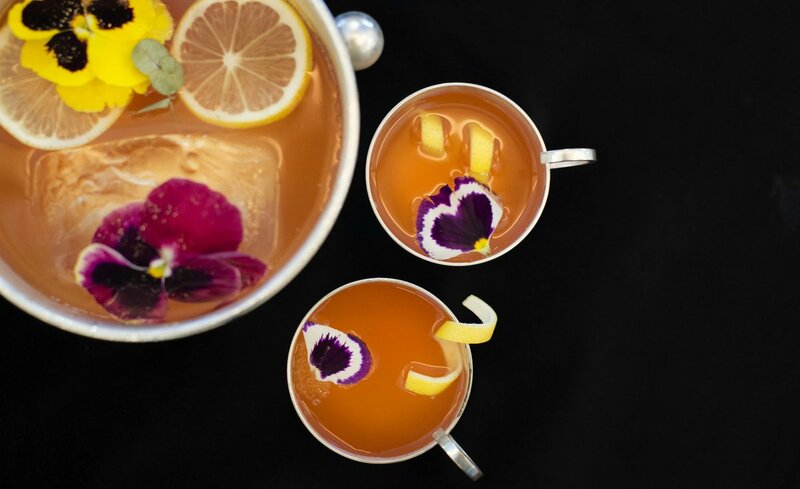 As with their dishes, Nopi's cocktails take colour and flavour to the extreme, each one zinging with lip-smackingly bold ingredients like passionfruit, rhubarb, coconut, lime and ginger. 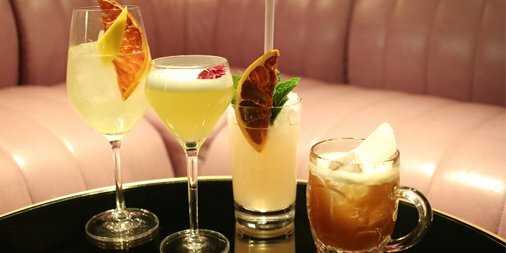 With its very own mocktail menu, this Mayfair restaurant is well catered to those off the sauce. Go for pseudo-drinking in style, with many items on the menu swapping out spirits for Seedlip - the fashionable alchohol-free spirit. Whether your taste is for spicy or sweet, floral or fruity, 34 Restaurant keeps all palates zinging with flavours such as ginger beer, honey, lavender and and passionfruit. Banish any thoughts of non-alcoholic cocktails being one dimensional. Zetter Townhouse in Clerkenwell offers thirsty bar-goers a masterclass in balanced flavours with their Warburg's Tonic cocktail. Fresh rhubarb brings the sweetness, saffron brings the smokiness, grapefruit brings the tartnessness, while orange peel and homemade bitters bring, perhaps unsurprisingly, the bitterness. Glorious. And there are four more mocktails to choose from too. The handsome Shoreditch tavern from Angela Hartnett (formerly of Michelin-starred Murano) and partner Neil Borthwick (formerly of The Square) is always buzzing and serves consistently good food. And it doesn't lack on the mocktail front either. The Orchard Fizz is a highlight of theirs and blessedly alcohol-free, featuring apple, lime, agave syrup, black pepper and cherry, all topped up with tonic. Whatever the time of day it's a light, bright way to start your meal. Five Dishooms lie across the capital, but our favourite iteration of this ever-busy mini-chain - inspired by the Irani cafes of early 20th century Mumbai - is the expansive King's Cross venue. In the basement lies The Permit Room (so called as the vaulted building is a former railway transit shed) where you can seek out incredible 'Copy Tipples' and 'Sharbats' on the comprehensive drinks menu. Alcohol-free renditions of boozy favourites are smartly done and lovingly presented, including a Sober Martini complete with juniper bittneress, the Tulsi Sour that gets its warmth from ginger rather than whisky, and the Dry Old Fashioned where cayenne pepper brings that welcome fire in the throat. 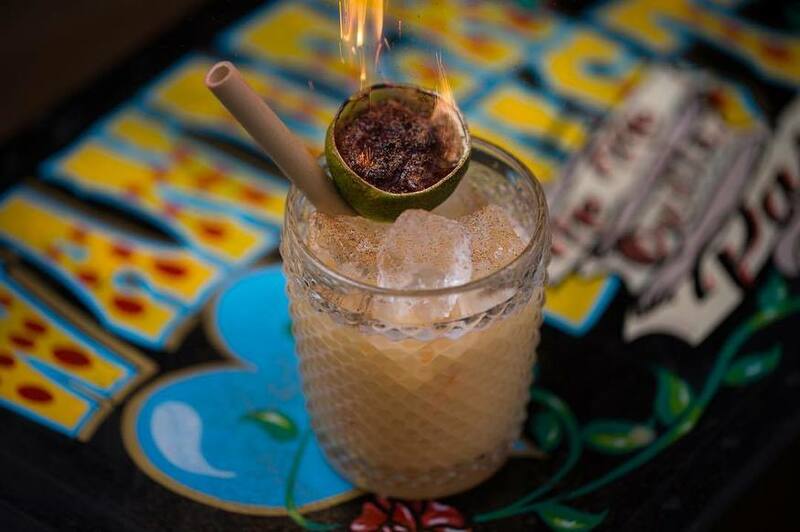 As Londonist's Lydia Manch previously stated: "any bar with mixologist Ryan Chetiyawardana at the helm is going to have a cocktail menu you could get lost in". 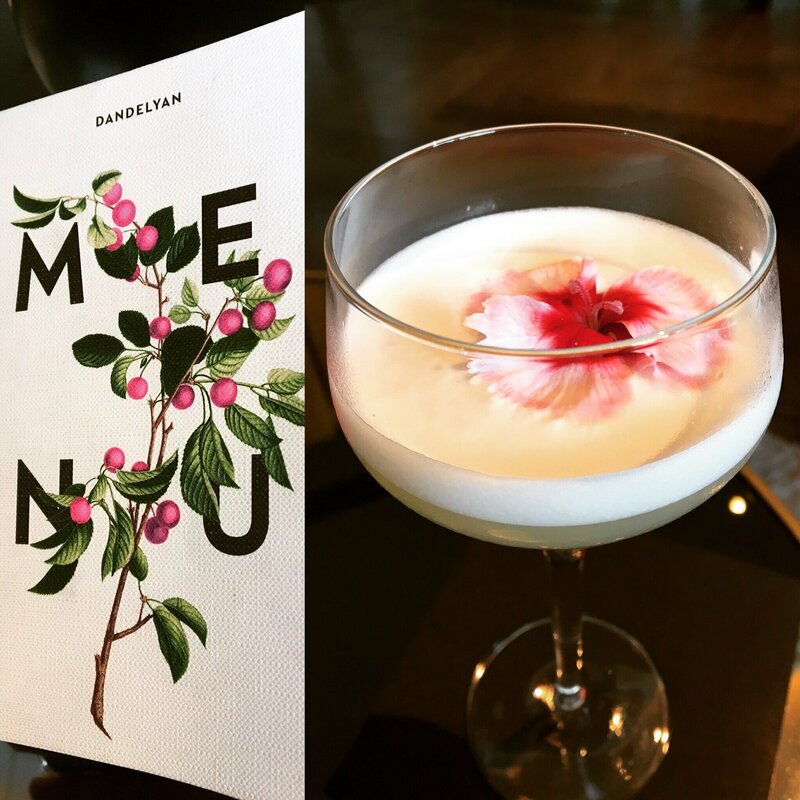 Dandelyan's menu is ambitious and the mocktail list, while small, remains just as mighty. Billed as the 'world's first non-alcoholic spirit', Dandelyan makes great use of Seedlip in its mocktails, which offers a gin-like flavour profile but with none of the units. Accompanied by other innovative ingredients such as eucalyptus, parsnip honey and myrrh, this is high-concept, alcohol-free boozing. It may be a bit of a City-worker magnet but Drake & Morgan's ever-classy branches take their booze-free tipples seriously, offering a dedicated 'Absolute Proofs' menu with far more than just a paltry pink lemonade on offer. The Gunpower Cooler mocktail in particular is knock-your-socks-off good, luring you in with sweet agave and lemon, before delivering a smokey punch courtesy of gunpowder green tea and orange bitters. The last word in keeping a clear head is Redemption Bar, where they encourage you to 'spoil yourself without spoiling yourself' at one of their three venues in Shoreditch, Notting Hill or Covent Garden. A carefully curated space for people in need of a booze-free night, it's heavy on vegan fare and fruity mocktails, with the stand-out drink being the Frocorita. Londonist's Janan Jay highly recommends this "elixir of coconut water, fresh lime and a touch of agave syrup mixed up into a mock margarita. Complete with a salt-rimmed glass, you can trick yourself into thinking you're drinking the real thing". An American diner may not be the first choice that springs to mind for mocktails, but don't discount Red Rooster just yet. A relatively new kid on the booze-free cocktail block and housed inside the achingly trendy (and accordingly pricey) Curtain Hotel in Shoreditch, this bar-come-restaurant's drinks menu is surprisingly upmarket and contains two sober mocktails. Running Wild combines Seedlip, egg white and violet, while Rooster Juice packs a spicy punch courtesy of the jerk syrup that accompanies the tea and lemon combination. Agua Frescas are light, non-alcoholic drinks popularised in Mexico but now drank around the world. The name literally translates as 'cool waters' and they are traditionally served before food as a palate cleanser, although there's nothing stopping you enjoying one (or two) throughout the evening too. Mexican eatery Ella Canta is headed by Martha Ortiz - one of Latin America's most celebrated chefs - and their menu incorporates such delicate concoctions as Hibiscus with Rose Petals and Spices, and Coconut Rose and Lychee Water. Ella Canta, One Hamilton Place, W1J 7QY.